I do think a garden should be seductive. The strength of any garden is its ability to take you away. — David L. Culp, in “3,000 Plants, and Then Some,” The New York Times. 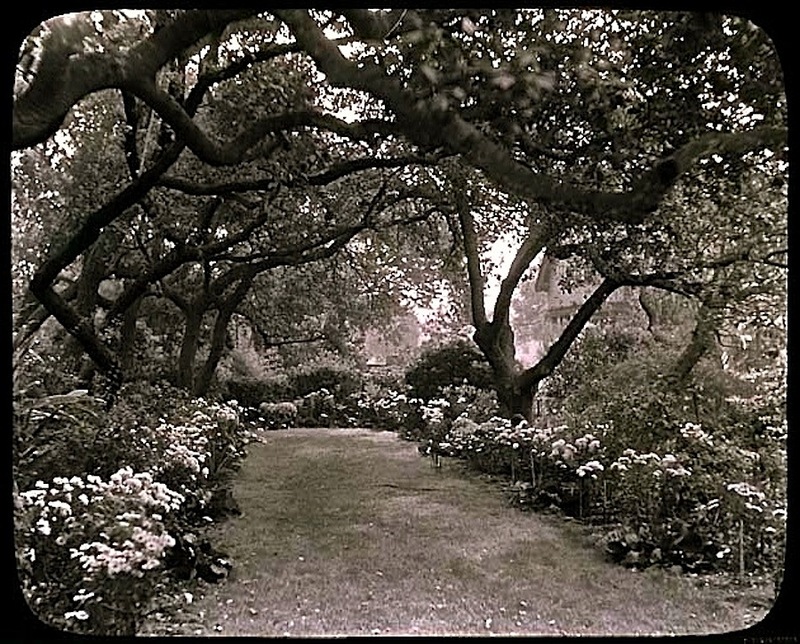 Unidentified garden in Pasadena, California, 1930, by Diggers Garden Club, via Archives of American Gardens, Garden Club of America, Smithsonian Institution Commons on flickr. Simple, elegant, and a little mysterious. . . The Diggers Garden Club was founded in 1924 and still exists today. It is a member of the Garden Club of America, which is celebrating its centennial this year. At its 75th anniversary, the GCA donated 3,000 glass lantern slides (of which this is one) and over 30,000 film slides to the Smithsonian Institution’s Archives of American Gardens. Its members continue to contribute to the collection, which now has over 60,000 images.